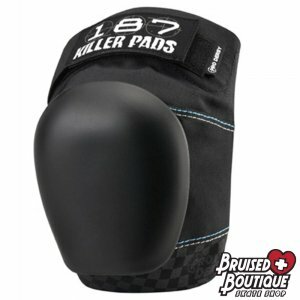 ﻿ 187 Pro Derby Knee Pads - $75.00 : Bruised Boutique, For Derby. By Derby. The Pro Derby Pad brings years of roller derby experience from the rink to your knee. Through the input of top skaters, product features have been tested and perfected. Experience the difference. They even have a name tag on the straps--genius! ReCaps available in 10 colors!